The future of work is here and if you think it is sooner than expected, then you can thank digital revolution for the push. Companies are big and small with unique power dynamics or pecking order for every single one of them. Dell EMC is quite right in saying “Different organizations have entirely different digital transformation.” And in the cusp of all the change is big data that promises and has changed how companies manage data. To put in simple words companies have a humungous volume of data and it can be overwhelming. All that data and information can be your make or break game while deploying engagement strategies. Digital transformation needs a complete engagement from all the sides and data science provides them the impetus to do the same. You understand the behavior patterns within the company and can put them against the market trends to understand the roadmap leading to digital transformation. It is a fast changing world and adaptability, nonetheless a quick and constant one is the key to success aka survival. The work of data science professional gains a whole new ground under the current circumstances. 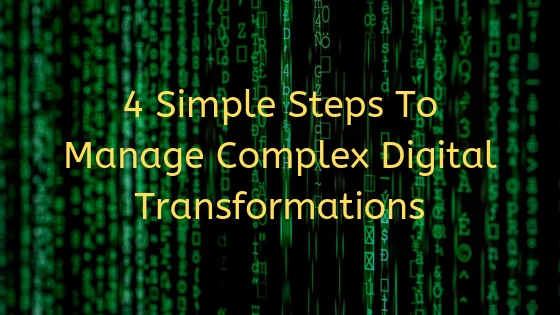 But the question remains, how to manage this huge digital transformation successfully? The DASCA infographic for 2019 answers this question and the far reaching impacts of data science industry that is well beyond just analysis or structuring data. The infographic focuses on the importance of adaptability and simplifies the entire roadmap to digital transformation. Inclusion is the first step to leading a transformation, you cannot leave stakeholders out while making strategic decisions. The infographic talks about it and other salient points in details.